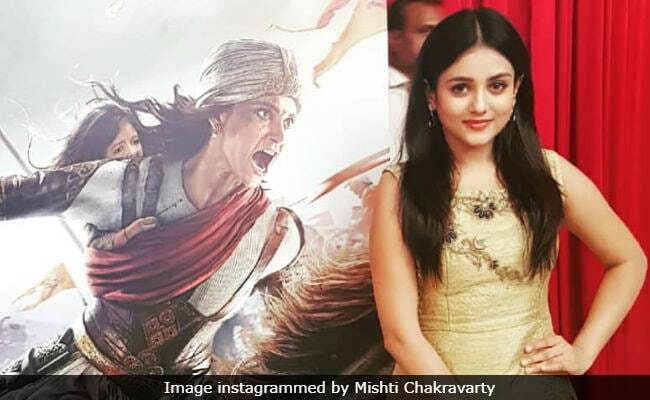 Mishti Chakravarty said: "Kangana Ranaut is such a fine actress and just by watching her performance, one can learn so much"
Actress Mishti Chakravarty, who plays a pivotal role in Manikarnika: The Queen of Jhansi, says the upcoming film's lead actress Kangana Ranaut has a good sense of humour that many people do not know about. Mishti also praised Kangana for knowing the technical aspect of filmmaking very well. When asked about her experience of working with Kangana, Mishti told IANS here: "Many people do not know that Kangana has a good sense of humour and she is very down to earth and humble. She is always serious about her work but that does not mean she will create pressure... She mingled with us and I bonded really well with her."